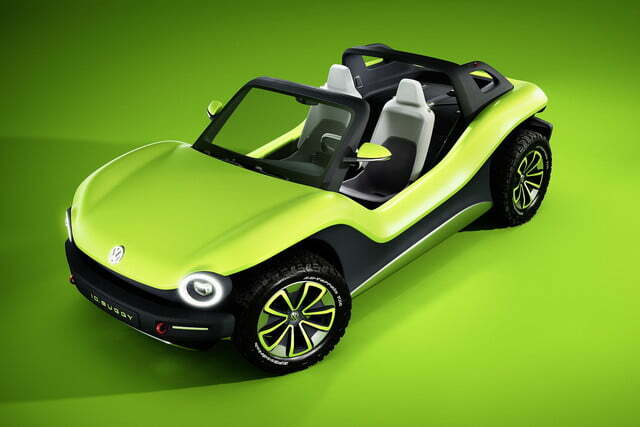 Volkswagen is getting ready for summer by resurrecting the emblematic Meyers Manx beach buggy as an electric vehicle. 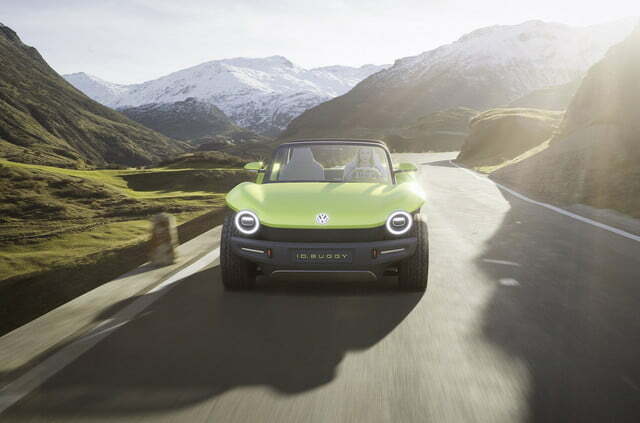 The company traveled to the 2019 Geneva Auto Show to display a brand-new concept car named ID Buggy that shows the fun side of its imminent electrification offensive while showcasing the Lego-like flexibility of its electric technology. Digital Trends learned there’s a good chance it’s coming to a beach near you in the not-too-distant future. 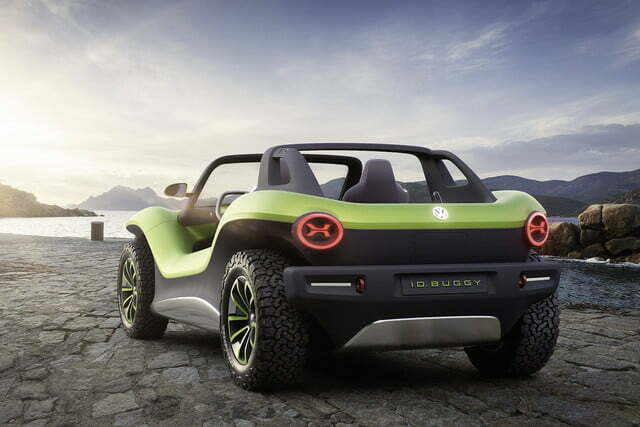 The ID Buggy takes the form of a battery-powered, two-seater dune buggy that channels the spirit of the original, Beetle-based Manx sold between 1964 and 1971. It’s not merely a retro-styled recreation of the Manx, though. It stands out with a look and a personality of its own. 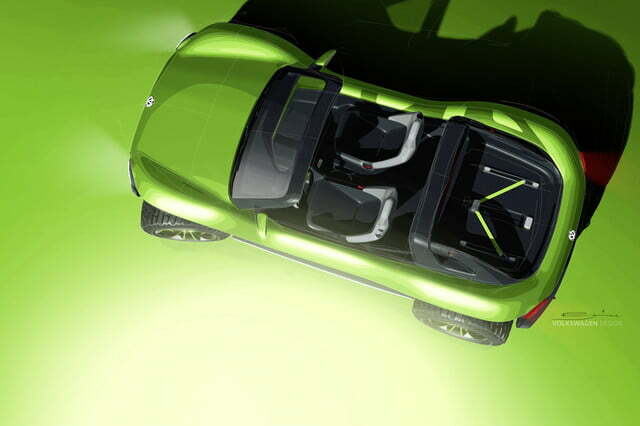 It has no roof and no doors, but users can stretch a fabric top between the windshield frame and the roll bar to protect the passenger compartment from the sun, or from the elements. 18-inch alloy wheels wrapped by off-road tires help the ID Buggy plow through sand dunes without getting stuck, while aluminum skid plates protect against obstacles commonly encountered off-road, like rocks, causing a high-voltage impact with the battery pack. 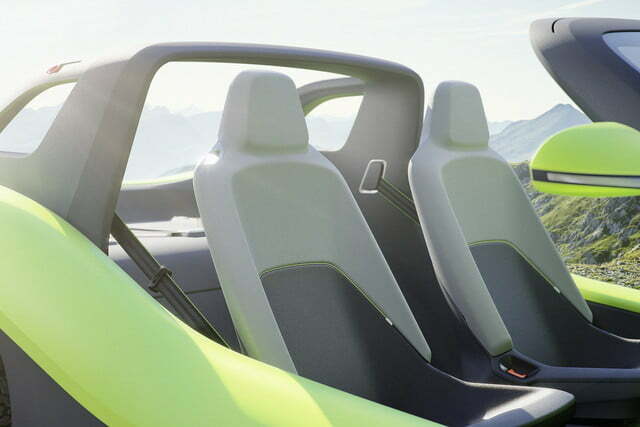 “There are enough vehicles with doors,” Volkswagen design boss Klaus Bischoff told Digital Trends during the 2019 Geneva show. 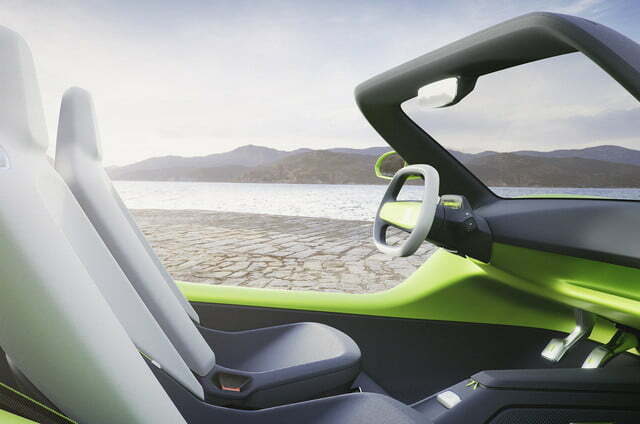 Inside, the ID Buggy pays homage to its predecessors with an ultra-minimalist, back-to-basics interior that nonetheless incorporates state-of-the-art tech features like touch-sensitive buttons on the two-spoke steering wheel to control the sound system, a chip card instead of a conventional key, and a digital instrument cluster. The use of waterproof materials — including the fabric that upholsters the seats — brings users peace of mind. They won’t ruin the interior if they forget to pack the tarp, or if they hop in after going for a swim. 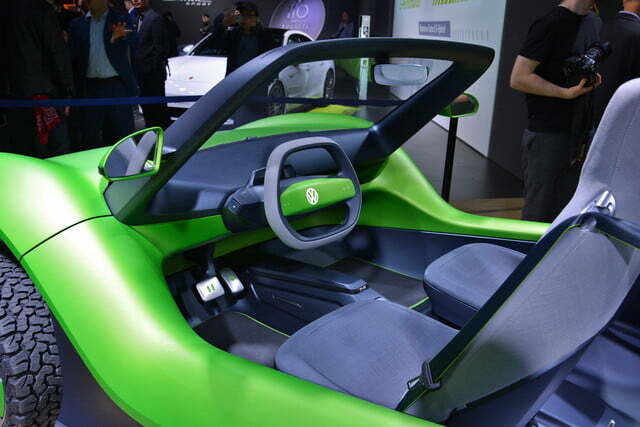 Volkswagen cleverly integrated a wireless phone charger in a waterproof storage box located on the center console to let the occupants juice up while keeping their devices out of the elements. 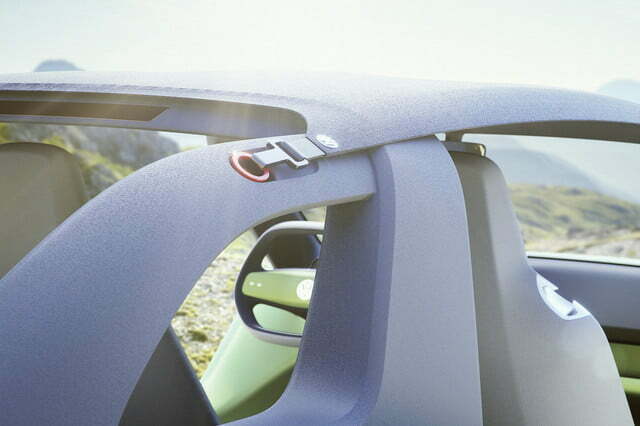 The lightweight composite body hides Volkswagen’s modular MEB platform. An electric motor mounted over the rear axle draws power from a 62-kWh lithium-ion battery pack stuffed under the passenger compartment to zap the rear wheels with 201 horsepower and 228 pound-feet of torque. 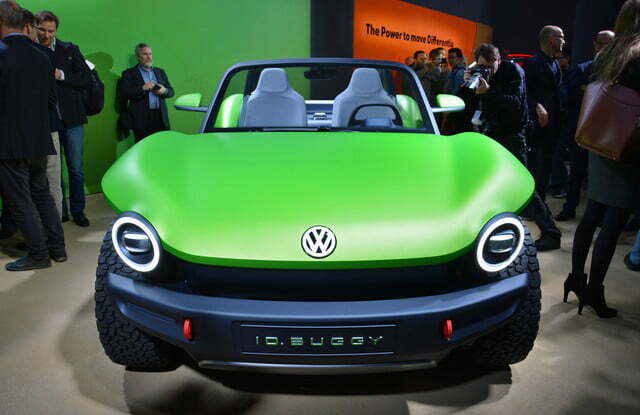 Volkswagen pegs the concept’s driving range at about 155 miles, and its 0-to-60-mph time at 7.2 seconds. 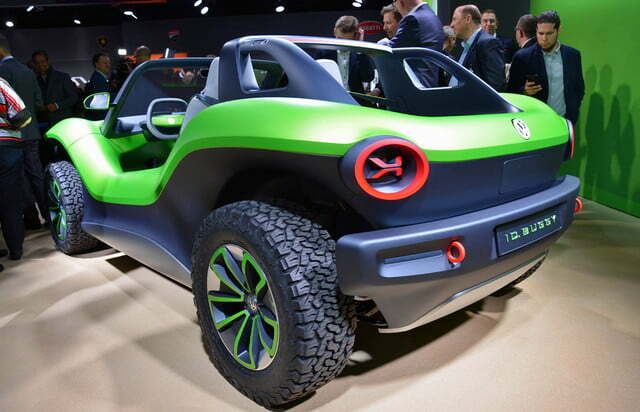 The concept is rear-wheel drive, but making it all-wheel drive would be as simple as adding an electric motor over the front axle. “A buggy is more than a car. 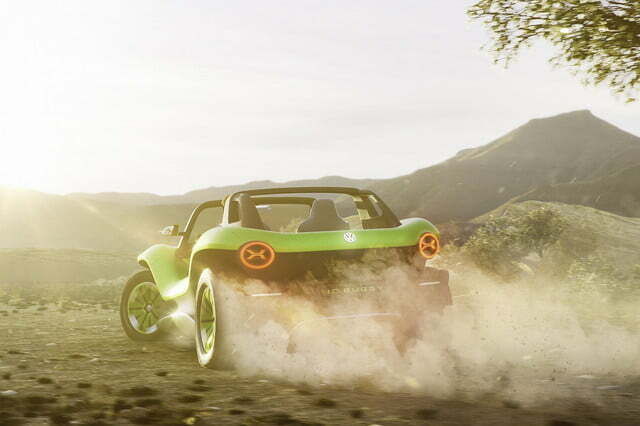 It is vibrancy and energy on four wheels. 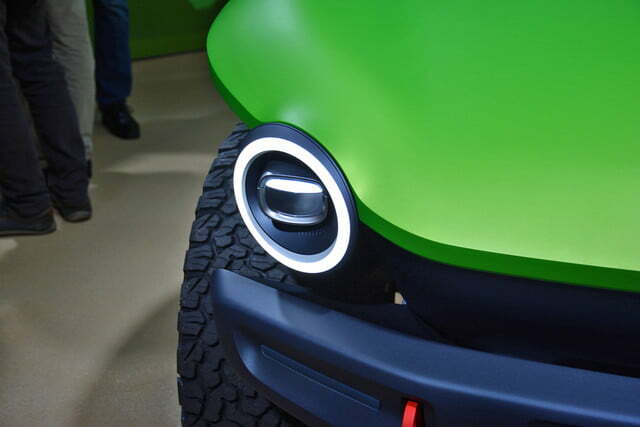 These attributes are embodied by the new e-buggy, which demonstrates how a modern, non-retro interpretation of a classic can look and, more than anything else, the emotional bond that electric mobility can create,” explained Bischoff. 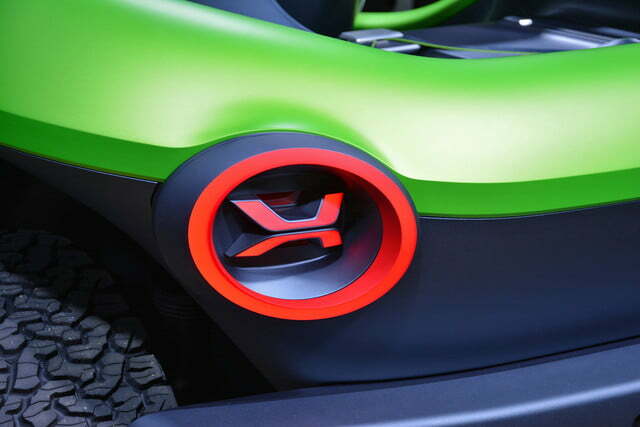 It’s not just a wild, head-turning concept, either. If everything goes according to plan, motorists will be able to buy it in about two years. 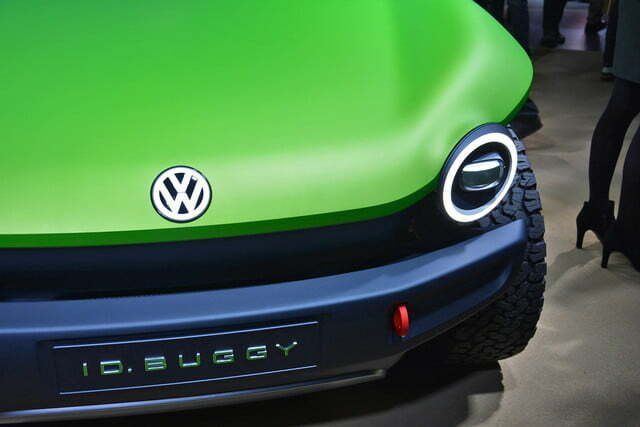 “Our plan is to bring [the buggy] to life, and to the market. It’s a very concrete project,” Bischoff told Digital Trends. 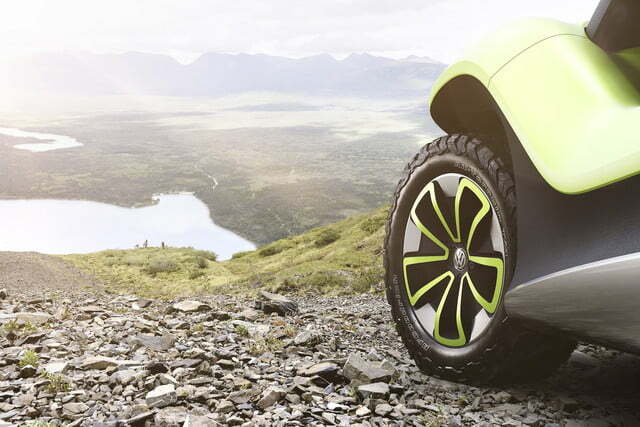 Intrigued, we sat down with Volkswagen board member Jürgen Stackmann to get more information. 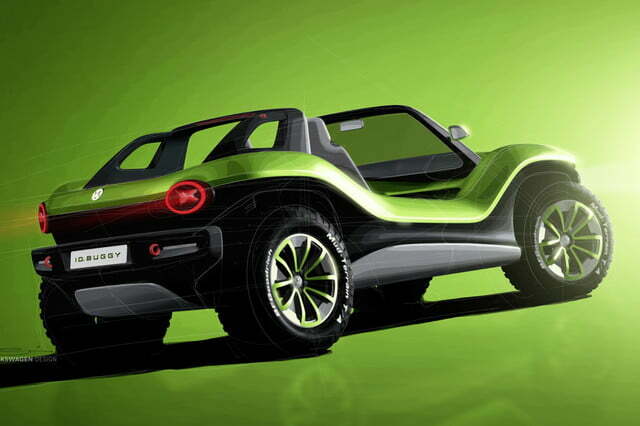 “We’ve been holding discussions with a company called E.Go who is very interested in bringing the ID Buggy to life. 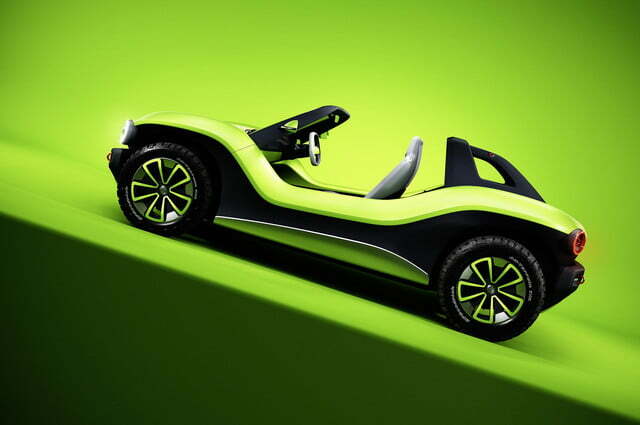 This show car is not a true show car, it is already conceptualized by e.Go’s team. It is feasible to build. E.Go will basically build the product you see, the shell, onto our platform in a low-volume, low-production series. The project needs to go through feasibility studies, so it hasn’t received final approval, but both parties have a strong will to make it happen,” he told us during a round-table discussion. When it arrives, assuming it receives the proverbial green light for production, it will showcase the MEB platform’s unusually high level of flexibility. 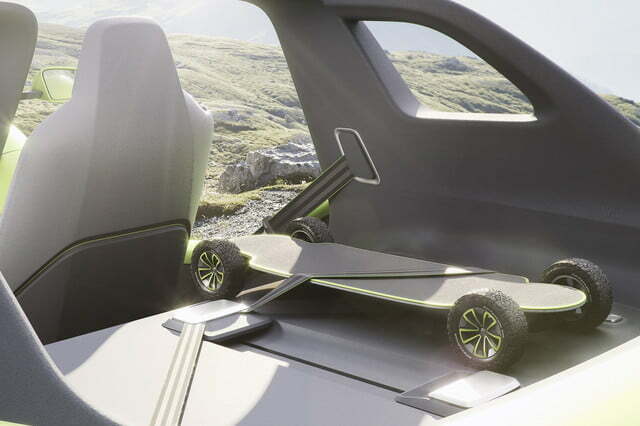 Think of it as a skateboard; everything needed to make the car move is under the occupants. 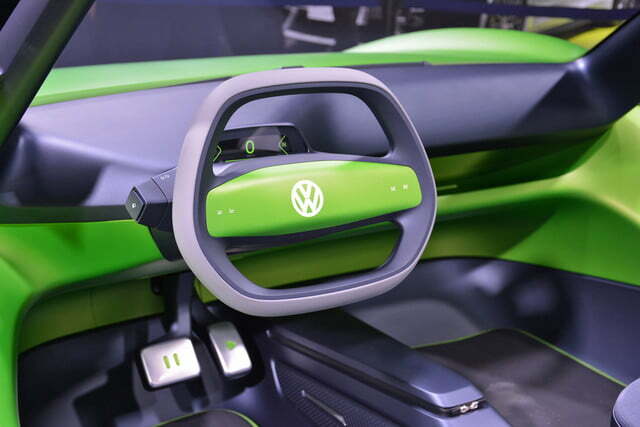 Volkswagen has also used the architecture as the basis for a Golf-sized hatchback, a Microbus-inspired van, an SUV, and a sleek-looking sedan. All of these vehicles have been previewed by concept cars over the past two years, and most will be in series production in early 2020. Only the sedan remains in limbo as of writing. 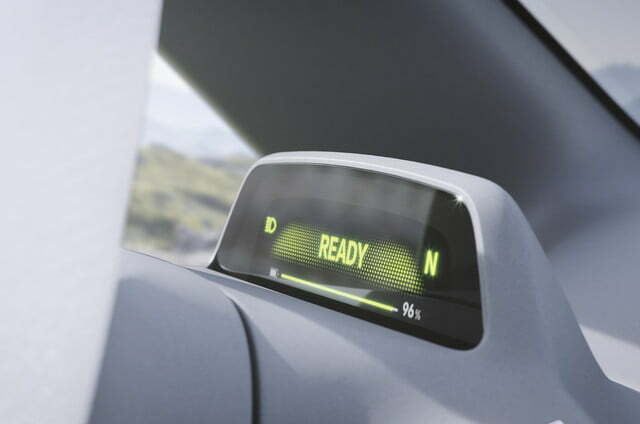 Volkswagen’s willingness to license its technology could start a new trend. 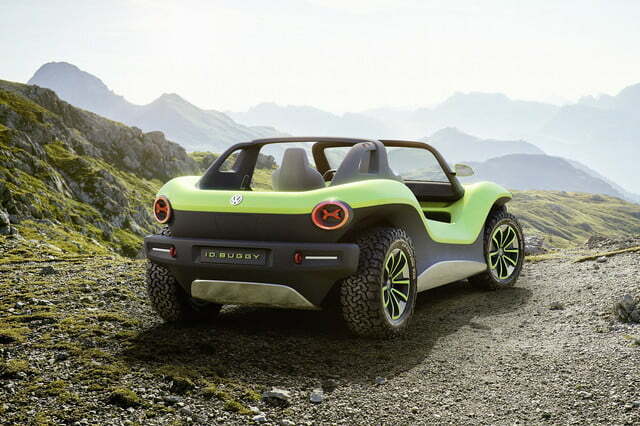 Coachbuilders new and old will be able to purchase a turn-key chassis straight from the factory, and put their own body on it, whether it’s to make a dune buggy, a sports car, a pickup truck, or something else. Electrification will open up new possibilities for companies seeking to make low-volume models without developing billion-dollar technology from scratch. 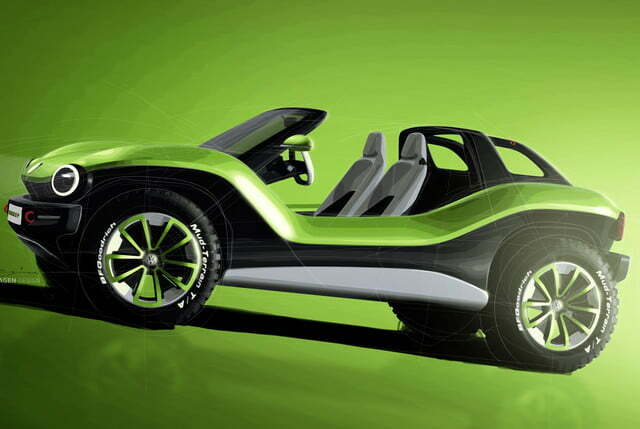 “[The Buggy] will be the start of more joint ventures created to bring MEB to companies to help them realize cars on our platform,” Stackmann concluded. 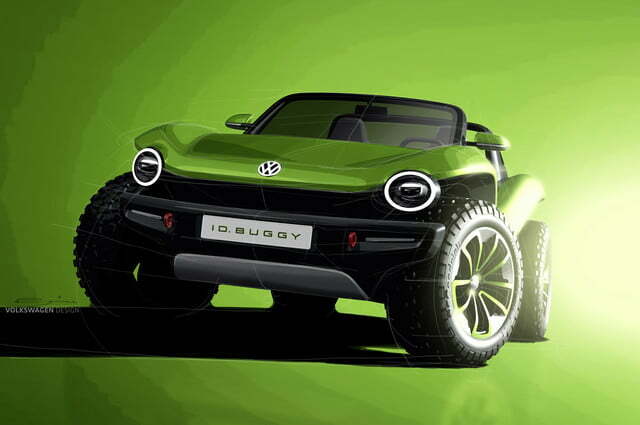 Updated on March 7, 2019: Added more information about the buggy, quotes and details about its path to production.